The Georgia Recycling Coalition (GRC) is a 501(c)(3) non-profit organization. Our mission is to complement and coordinate activities relative to recycling, to foster communications among professionals, organizations, government agencies and individuals, and to promote and enhance reduction and recycling programs throughout the state. Special Events– GRC participates annually in events including sponsorship of conferences held in the state, special Earth Day observances, and exhibiting at trade shows throughout the Southeast. We support, promote and host workshops, training seminars and other events related to waste reduction and recycling efforts. GRC holds an annual benefit golf tournament usually during our conference. 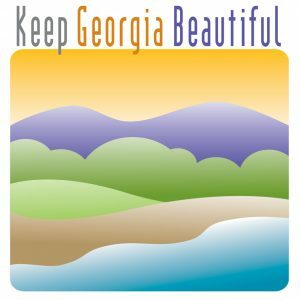 America Recycles Day in Georgia-In partnership with Keep Georgia Beautiful, GRC facilitates the annual statewide observance of the America Recycles Day program on or around November 15th annually. International Compost Awareness Week-GRC facilitates holding of local events during the first full week of May annually. In conjunction with the US Composting Council, ICAW is a multi-media publicity and education event that showcases composting and compost products. It features composting in your back yard or at large scale commercial composting facilities. Annual Conference– GRC’s Annual Conference, Trade Show, and Membership Meeting provides members with networking opportunities, educational sessions on varied topics, a markets panel, interaction with industry vendors via exhibits, and updates on progress, successes, and challenges in waste reduction and recycling efforts. The “Trash to Treasures” auction is a popular feature of this conference. Semi-Annual Membership Meeting-On a smaller scale than the annual conference, this meeting allows us to focus on pertinent issues or areas as defined by the needs of our members. It is a one to one and a half day meeting featuring speakers on topics including new technology, market trends, and legislation. Tours are usually combined with this event. Communications– GRC publishes a quarterly newsletter and a several issues of an electronic newsletter update, maintains a website and has a member discussion forum providing members with an email communications system for sharing of knowledge and resources, as well as quick updates on GRC activities. 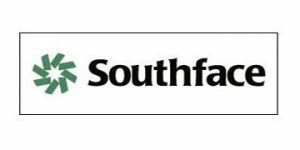 Our membership list serve includes receipt of a daily news clips service. We also have presence on Facebook page, Pinterest and Twitter. GRC is involved in an ongoing process of developing special interest group councils for commodity groups, recycling coordinators, military bases, colleges & universities, and others based on the needs of our members.